Frustrated by kitchen mold? The ugly and unappetizing truth is that kitchens are one of the most common spots for mold problems. This is simply because they are very prone to moisture. Usually, you can find kitchen mold growing around kitchen sinks, taps and windows; in or behind cupboards, appliances and furniture; and on walls. 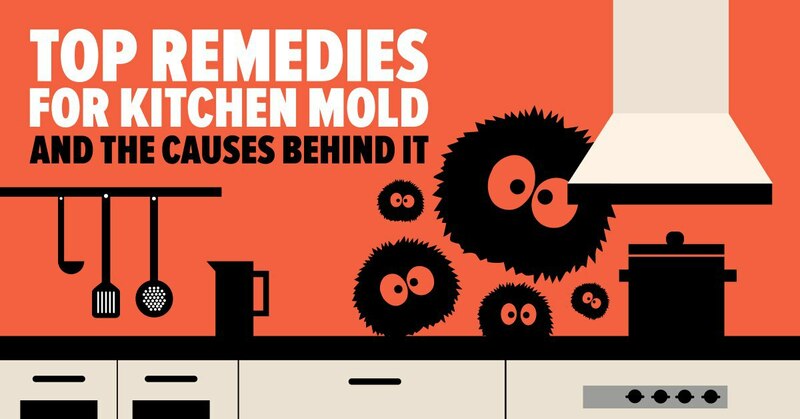 Even though kitchen mold is a very common household problem, it is a serious one that can lead to serious damage to your property, not to mention to your health. If you have mold in your kitchen, call the certified experts at Mold Busters for fast, friendly and affordable kitchen mold removal in Ottawa and Montreal. Everyday activities such as cooking, washing and ironing increase humidity levels inside of your home and, ultimately, promote mold growth. In addition, leaky washers, dripping pipes, spills, a lack of ventilation and general uncleanliness can also contribute to kitchen mold. Smaller kitchen mold problems usually appear in corners and on caulking while larger, more serious issues can cover entire walls and destroy cupboards. The longer the mold growth is ignored, the more complicated the mold removal process becomes. Moisture is the main factor of mold growth in areas with high humidity such as kitchens, bathrooms and basements. Mold breakouts are common in houses with faulty weatherproofing or roof leaks, but mold can appear even in new homes with proper external and internal insulation. Frequent washing and drying combined with improper ventilation can trigger kitchen mold growth, so controlling moisture sources such as dishwashers, washing machines, refrigerators, and sinks is the best way to prevent mold in the kitchen. The second most common mold cause is humidity. Keeping the windows open while cooking will allow humidity to escape from the kitchen. If your kitchen is windowless, turn on the stove fan when cooking and consider installing double or triple glazed windows to keep tabs on condensation without compromising the room’s thermal capacities. Faulty plumbing and roof defects are major factors that contributes to mold growth, not only in the kitchen but anywhere else in the house too. 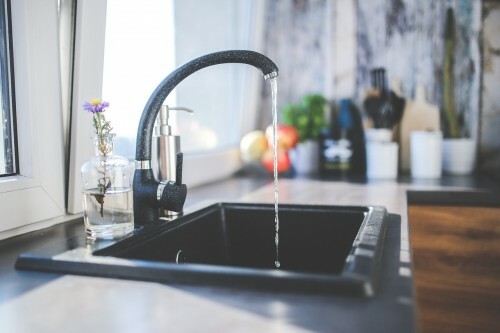 Leaky pipes, blocked drains, and poorly insulated or punctured roofing can all increase the risk of mold outbreaks, which is why experienced plumber services recommend that kitchen fittings should be inspected regularly and that moisture-related issues should be taken care of before mold sets in. Both bathroom and kitchen mold can develop almost overnight, especially if the property has poor insulation and chronic plumbing, ventilation, or roofing issues to go with old age. Due to high condensation and inadequate air conditioning, we can get mold under the kitchen sink, in the garbage disposal, or on ceiling areas directly above water outlets. 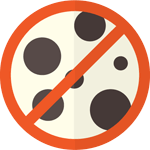 In other words – mold can develop fast and it can go from a dark spot to Ghostbusters material in just couple of days. This is exactly why mold prevention is your the best way to ensure a healthy home and cut on mold removal costs. In kitchens where insulation is a problem, moisture can build-up almost anywhere – in window corners and sills, behind kitchen units, etc. Damp surfaces provide fertile ground for mold development, and once fungi move in, eliminating them can be an extremely difficult task without professional help. Mold is not just an eyesore: the list of its harmful health effects ranges from nasal and sinus problems, respiratory infections, difficulties breathing, persistent cough and throat irritation, to serious conditions such as asthma, allergies, and pneumonia. For this reason, knowing mold infestation causes and remedies is essential to not only keep your kitchen mold free, but to take care of your health too. Once mold develops, the extent of work required to eliminate it will primarily depend on the scope of infestation. In the worst case, your strongest weapon is your phone – grab it and immediately call professionals to help you clean your kitchen. But, if your kitchen hasn’t turned into a scene from the Twilight Zone just yet, there are a few things you can do about moldy surfaces. Small mold-covered tiling sections can be cleaned off by scrubbing with a fungicide liquid. Unless the underlying cause is tackled promptly, however, you may need to repeat the process periodically to prevent mold from spreading from contaminated areas to other surfaces. Rubber and silicone seals, grouts, and other sensitive surfaces where moisture accumulates regularly can be very difficult to clean. If possible, remove mold-infected grout and silicone seals and dry the surface well before applying a fresh sealant coat. Kitchen appliances that require water for operation or give off humidity when running (such as dishwashers and fridges) should be cleaned regularly using bleach or sterilizing detergent. The same goes for garbage disposal and sink drains: mold loves damp, dark spots, so run garbage disposal at least once a day and bleach-scrub the sink drain every once in a while to prevent full-scale infestations. Don’t forget to use personal protection items such as gloves and dust masks when cleaning mold to avoid direct contact, spore inhalation, and potential health complications. Mold loves dark places. With that in mind, it is only common to find mold behind kitchen cabinets and even under it. Mold patches on the wall-facing side of cupboards and kitchen devices should be scrubbed, sanded down, or cleaned off using fungicide before they spread to the walls. 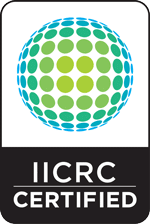 Applying a coat of mold-resistant paint to infected surfaces can prevent recurring outbreaks. Mold on the walls is one of the most difficult fungi-related issues to tackle. Wiping the walls with a fungicide-soaked cloth can leave ugly stains and contribute to outbreak expansion, which is why calling professional mold removal experts is a better idea than starting the cleanup on your own. Left unattended, mold can compromise wall structure, and you may need to have the moldy surfaces peeled, replastered, and repainted with mold-proof paint. It is very important to clean the kitchen regularly in order to prevent mold from invading your home. Food dropped on the floor can wind up under cabinets or kitchen appliances and encourage mold growth, so keeping the kitchen tidy is the best way to prevent mold. You can try applying a homemade anti-mold cleaner to areas which are difficult to reach, this will keep mold growth at bay for a few months even without regular cleaning. Let’s be clear with one thing – no matter the temperature, mold in the fridge is as common as mold on any other surface and often due to moldy food. Dry the fridge dip pan regularly and keep it clean from moldy ingredients. If you often find spoiled food in your fridge, re-think the quantity you are buying or making. Don’t forget to check behind your fridge too, as the area is often dark and moist, which creates the perfect conditions for mold to grow. Thoroughly check the cooker extractor for signs of mold. Modern cookers come outfitted with carbon filter extractors but if the unit does not have an exhaust pipe, be aware that the extractor will remove odor but it will not help with air moisture. For this reason, air the kitchen regularly and wipe damp surfaces with an absorbent cloth whenever possible if you want to prevent mold from establishing itself in your kitchen. use a dehumidifier or kitchen fan to eliminate moisture, and empty your indoor garbage cans every day. Needless to say, getting expert help to clean up kitchen mold is the best way to ensure effective and long-lasting protection against mold growth. Doing it yourself might work if you’re dealing with a very small mold contamination, but generally, even this should be left to experts as mold spores become airborne easily and spread to other parts of your home quickly. Before starting any kind of work, a professional will find the source of the mold growth (usually some sort of moisture problem) and fix it, otherwise the mold will keep growing back. 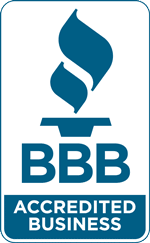 At Mold Busters, we provide every customer an initial visual inspection of their kitchen (to evaluate how bad the moisture problem is and where it’s coming from) as well as a free air quality test upon completion of the kitchen mold remediation (to ensure that all of the mold has been successfully eliminated). 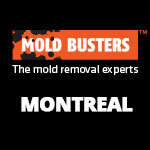 For your convenience, our mold experts are available on evenings, weekends and even most holidays. 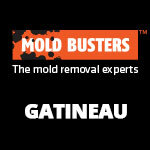 Call Mold Busters to get started right away! After you’ve eliminated all mold from your kitchen, there are things you have to do to ensure that it doesn’t grow back. 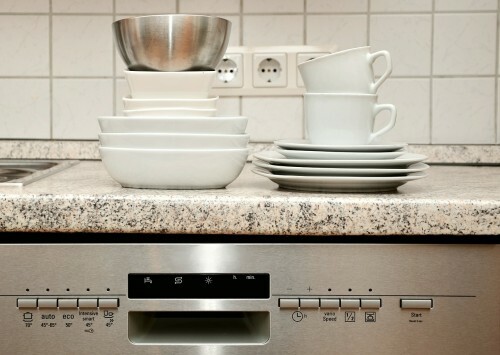 Check your fridge, dishwasher and other appliances for leaks. Seal cracks around your sinks and taps. Turn on exhaust fans when cooking and cleaning. Open windows regularly to let in fresh air. 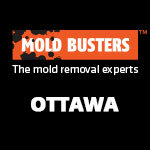 Looking for expert kitchen mold removal in Montreal or Ottawa? 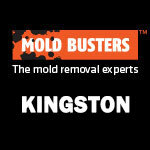 Call Mold Busters today and say goodbye to kitchen mold for good!